Alexander Hamilton was one of the brilliant minds that help found the United States of America. After the American Revolutionary War, he served as Secretary of the Treasury and spend most of his time in New York City helping put together the fledgling nation, however, to get away from the bustle of the city, in 1802 he had Hamilton Grange, a federal style home constructed on 34 acres of farmland he purchased in upper Manhattan. 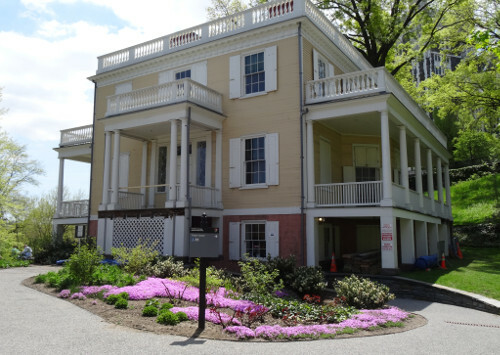 Though it has been moved from its original location, Hamilton Grange still sits today on land that was owned by Alexander Hamilton in the middle of the now very urban Hamilton Heights section of Manhattan. The Grange, as the house was called, was named after Alexander Hamilton's ancestral home in Scotland. It was designed by John McComb, Jr., who also designed New York City Hall, Gracie Mansion and the Montauk Point Lighthouse among other famous structures. You will have an opportunity to tour this beautifully restored historic home (be sure to check tour times). 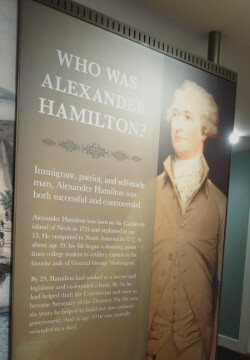 The visitors center set up in the basement of the house has a wealth of information about the life and unfortunate death of Alexander Hamilton. It has a small theatre that features a short film depicting his many accomplishments as a writer, a soldier and a statesmen. There are several well thought out exhibits and a bookstore. If you enjoy American history, historic architecture or learning about the life of a very interesting person, Hamilton Grange is worth the trip to Hamilton Heights. Take the #1 Train to the West 137th Street train stop. Exit the subway and walk north to 141st Street and make a right. Walk East towards Hamilton Terrace. The Grange is between Convent Avenue. M3 From Grand Central Station.